From its humble beginnings in 1929, Harkness Screens has grown to employ over 100 people across five countries. Harkness Screens has thousands of large screens installed in more than 130 countries throughout the world. Harkness serves the cinema, film production, special effects and live events markets. Harkness makes screen technology for 2D and 3D digital projection and for 35mm film projection, as well as screens for rear-projection. In 1929, founder Andrew Harkness, a master draper by profession first entered into the screen-manufacturing business with his 18-year-old son Tom. The business operating out of the then bustling UK film studio lots of Borehamwood in the UK rapidly grew and became hugely successful manufacturing woven screens and then washable woven screens. During the early 1940s, Tom Harkness identifed plastic (PVC). A new material which seemed to possess all the properties required in an ideal screen, however this new material still needed to be joined. Harkness spent significant time developing a revolutionary method of welding the plastic together called the Tearseal method which was later patented. Where other manufacturers had failed to produce invisible seams, the Harkness Tearseal method produced a flat seam, and this made all the difference ensuring that Harkness’ new screens were a huge success. Much improvement was made to this new material and by the mid 1950’s as cinema continued to evolve, small perforations were incorporated into Harkness screens enabling behind-screen speaker placement, creating a new cinema experience. With larger screens desired by cinema exhibitors and limited technology available for putting sufficient light on screen, Harkness developed its first coated gain screen in Perlux® a screen capable of providing a brighter and more vivid presentation. This technology helped transform Harkness into the world’s leading screen maker. 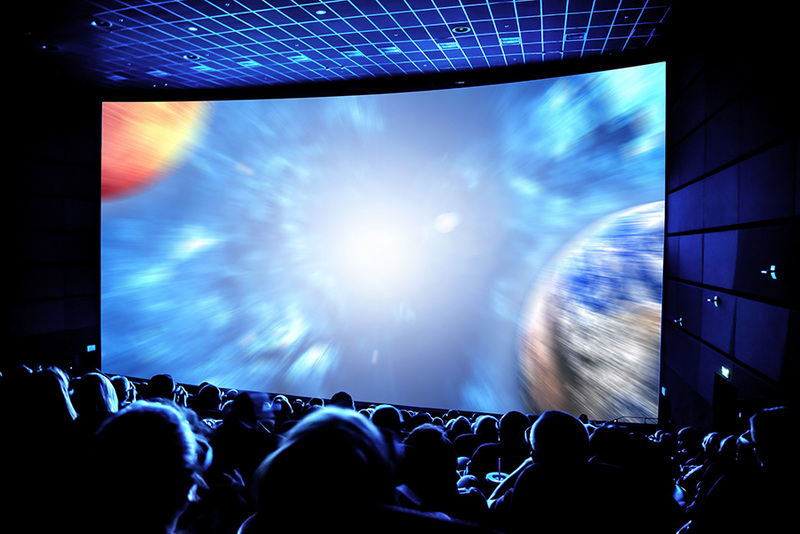 In the mid-1990s with the multiplex boom accelerating globally, Harkness had already identified that there would in the future be a demand for 3D projection in cinema. Harkness invested heavily in research and development utilising its knowledge of coating screens to produce what by the end of the first 3D boom (in 2011) would become the world’s leading polarised silver screen brand in Spectral™. Recognising the global leadership status the business had acquired, Harkness quickly expanded its overseas operations purchasing a European competitor based in France and creating new manufacturing facilities in the USA, China and India. Since 1929, innovation has been at the heart of Harkness and this remains important and visible today be it through the development of Harkness’ latest screen technology in Clarus XC, the development of Harkness’ tools and apps for digital cinema and the addition of Qalif presentation monitoring tools to our portfolio. As well as innovation, continuous improvement is also key to Harkness’ success and whilst constantly looking for methods to improve products, Harkness is already undertaking significant research and development into the future of projection using laser technology. It is this innovation, foresight and creativity along with the enthusiasm and dynamism of its staff that makes Harkness the global leader in projection screen manufacture and thought-leader in screen technology.